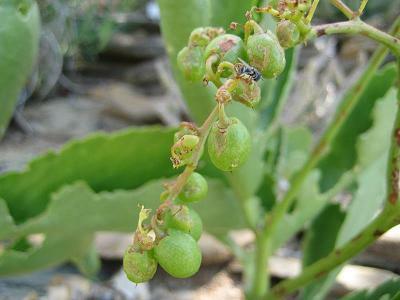 Fruits on a wild plant in Namibia. 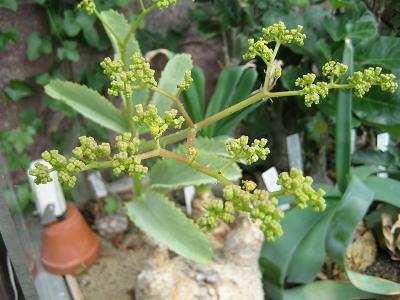 This member of the Vitaceae family was given this name by Descoings in 1967. 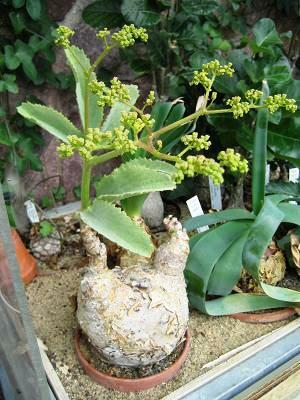 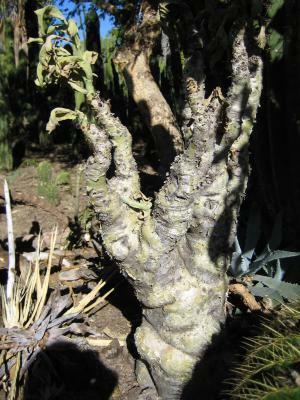 It is found in Namibia and South Africa, growing in a well drained soil with some water and lots of sun. 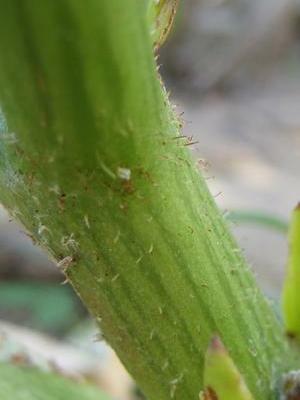 The stem can grow up to 40 centimetres in diameter and reach a height of one to seven meters. 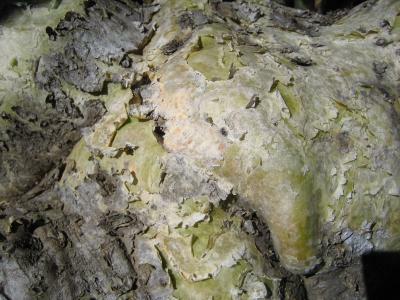 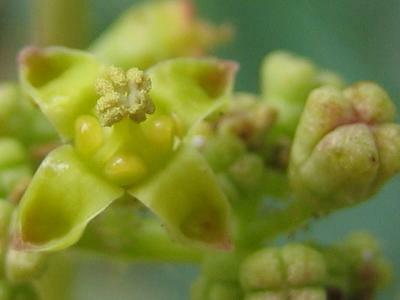 The flowers are yellowish-green. 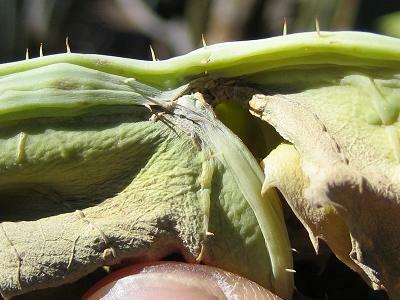 Spines on a wild plant in Namibia.